Whether your car needs a major service or just a simple oil change, we can cater with all aspects of a car service (all manufacturers makes and models) in order to keep your vehicle in prime condition. We offer a variety of car service options to meet all requirements, budgets and prevent any unexpected extra car bills when it comes to an MOT. 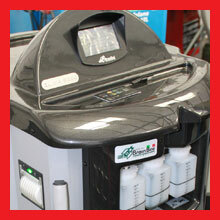 For a basic service we can replace your engine oil, filters and carry out brake and gearbox fluid checks. For a premuim service our vehicle technicians go into more depth of the vehicle's maintenance and we will guarantee your vehicle to pass an MOT afterwards. Our mechanical experts can fit new clutches and brakes using quality OEM replacement parts recommended by Bosch and major vehicle manufacturers. We also have the operational capacity to undertake all transmission and braking repair work including diagnostic checks on the latest ABS systems. JSM MOT & SERVICING CENTRE offer a complete engine diagnostics, our extensively trained technicians have access to the latest trade innovation so that all ECU and vehicle sub-system issues can be identified and rectified at affordable independent prices. 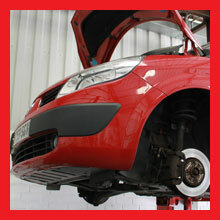 We all drive over potholes, speed bumps or kerbs on a daily basis and by doing this can knock your wheel alignment out. This can lead to uneven wear on your tyres and it could feel like your car is 'pulling' to one side. 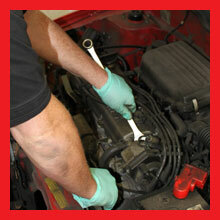 This in turn can lead to an increase in fuel consumption and premature wear on your tyres. JSM use the markets leading wheel alignment tool - "SUPERTRACKER WHEEL ALIGNER" which is the preferred choice for a wide range of vehicle manufacturers. We also have the technology available to repair, service and maintain car air conditioning on a full range of popular makes and models. We can deodorise your system and leave it clear of harmful bacteria whilst checking for signs of engine-damaging refrigerant leaks. For servicing, brake repairs and car air conditioning in Bury, visit the professionals at JSM MOT & SERVICING CENTRE today. © 2015 SocialCube - Web Design Bury, Manchester All Rights Reserved.